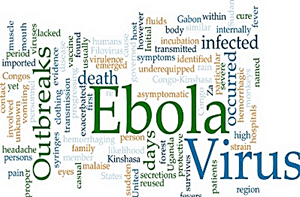 A doctor in Liberia, acting out of frustration for the lack of medication to fight the Ebola virus in his country is reporting success in treating the deadly disease with the HIV medication marketed as Epivir. Dr. Gobee Logan has given the drug, lamivudine, to 15 Ebola patients, and all but two survived. That’s a 7% mortality rate. Across West Africa, the virus has killed 70% of its victims. Outside Logan’s Ebola center in Tubmanburg, four of his recovering patients walk the grounds, always staying inside the fence that separates the Ebola patients from everyone else. “My stomach was hurting; I was feeling weak; I was vomiting,” Elizabeth Kundu, 23, says of her bout with the virus. “They gave me medicine, and I’m feeling fine. We take it, and we can eat — we’re feeling fine in our bodies.” Kundu and the other 12 patients who took the lamivudine and survived, received the drug in the first five days or so of their illness. The two patients who died received it between days five and eight. Dr. Anthony Fauci, director of the National Institute of Allergy and Infectious Diseases says that theoretically, Logan’s approach has some merit. Lamivudine is a nucleocide analog, and other drugs in this class are being studied to treat Ebola. Epivir (aka 3TC) was invented by Dr. Bernard Belleau while at work at McGill University and Dr Paul Nguyen-Ba at the Montreal-based IAF BioChem International, Inc. It has been a big breakthrough in tri-therapies and is typically prescribed as one of the medications in the combination pills Trizivir and Combovir to fight against HIV.